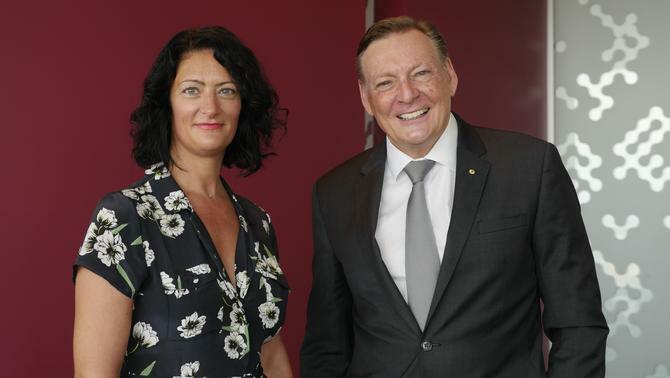 KPMG has launched a dedicated Social Media Advisory group, appointing two of Australia’s more notable agency marketers to spearhead its growth and raise social’s profile in the boardroom. The new division will sit within the consulting giant’s Customer, Brand and Advisory business unit, which debuted officially in June and is led by partner, Paul Howes. It’s built off the back of KPMG’s existing social diagnostic, intelligence and advisory services and initially launches with eight staff members. Joining KPMG as a director and national practice leader to help lead social media is former managing partner of social media agency one Green Bean, Louise Pogmore, who boasts of 20 years in the agency space. On her former client list are Woolworths, Meat & Livestock Australia, Jetstar and HCF. Pogmore previously worked as head of PR and social at The Hallway, and head of PR for Naked Communications. Alongside her is Greg Daniel, current KPMG social media risk advisory services lead and the former CEO of ad agency, The Campaign Palace. Daniels spent 10 years as CEO and deputy chairman of Clemenger BBDO, and also founded social media risk agency, SR7, in 2008, which IPMG acquired in 2014. In a statement, KPMG said the aim of the new division is to assist clients to analyse, influence and optimise customer conversations in the social sphere. There are plans to grow the team further by the end of 2018. Howes pointed out public trust is a top priority for Australian business leaders this year. He noted recent Sensis research, which showed increased levels of trust for brands that interact with customers in a positive way on social media, up 12 per cent to 64 per cent. Pogmore said she was excited about working to build solutions that factored in KPMG’s broad skill base. “I’m also excited to really demonstrate the effectiveness of earned media in delivering against business goals,” she said. Daniel, meanwhile, noted social is now entering its second decade in consumers’ lives. “We are brilliantly positioned to offer best practice advice on all aspects of social media strategy. This means a combination of harnessing social media’s unbounded opportunities and mitigating its well-documented risks,” he added.